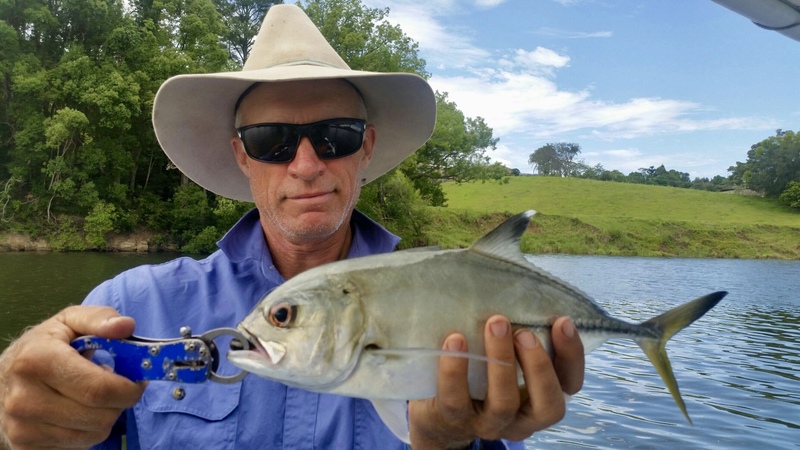 Catching mangrove jack on lures as many know is the holy grail for estuary anglers. There are a few ways of targeting them on lures, including casting soft plastics, surface lures and hard bodies as close to structure as possible. If you’re not losing lures you’re not getting close enough. This can take time to master so one relatively simple way to first get a jack on board without too many donut sessions is by trolling for them. 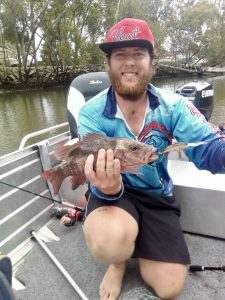 In our local Gold Coast and Tweed waters there are some of the biggest jacks around, which makes them hard to stop! 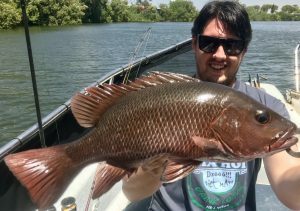 Nerang river, Tweed river, Coomera river, as well as the creeks and Sovereign island walls all play host to monsters over 60cm in length. Trolling works well for a number of reasons. Firstly you’re covering lots of ground which improves your chances of encountering a jack. Secondly during daytime the jacks can be holding deep along rock walls, deep diving lures gets you in the strike zone. Also by trolling the momentum of the boat moving gives you a headstart in turning their head on hooking up. It can pay to just leave the rod in the holder when they strike and driving the boat to the middle of the river to stop them snagging you. 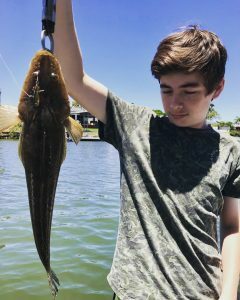 If you hold the rod while trolling, be sure to hold on tight with both hands, a violent hit from a big jack can rip the rod out of your hands and into the water. Persistence is important if you want success, sometimes trolling up and down through the same area finally gets a territorial strike from an angry jack. Even if you’re just travelling between spots or passing through 6 knot zones, put a lure or two out and sooner or later you’ll get lucky. 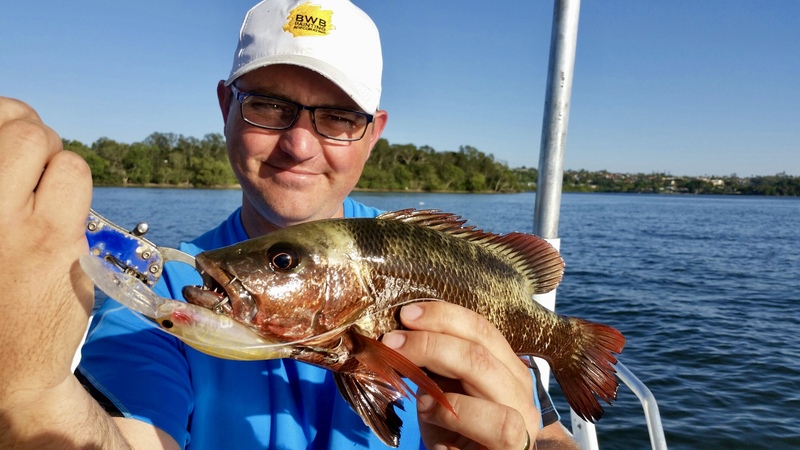 Water depth of 4-6m produces well with this method, look for rocky structure on the fish finder, and water temperature of 26 degrees or above is ideal. In the downstream areas of main rivers and during bigger moon phases focus your trolling around the tide changes. Trolling against the tide works well too, keeping the lure in their face longer and agitating them. 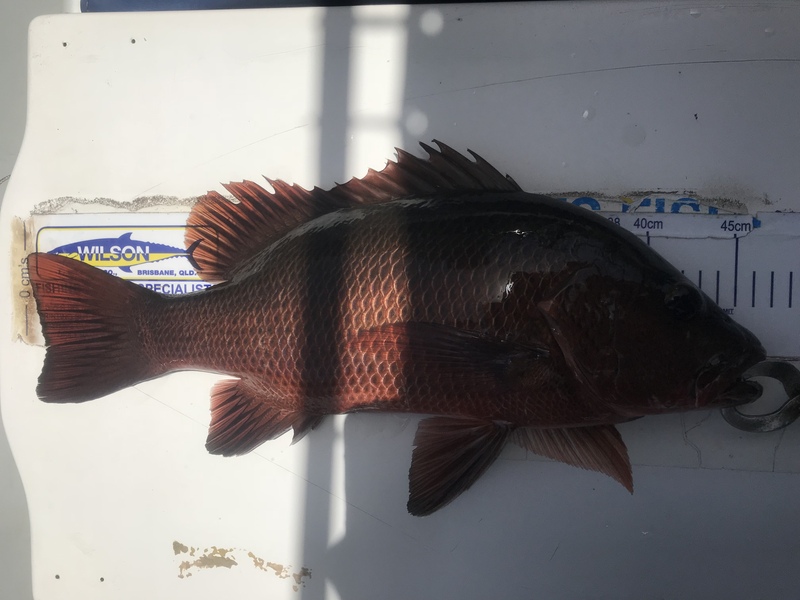 The bycatch is cool with this form of fishing, with big cod, flathead, gt’s, or even a mulloway a possibility. We run jack charters all through summer, get in touch to book your adventure. It’s never guaranteed to catch them, but when it happens there is nothing like it. Lots of high fiving and trembling hands on the boat. Next week we will go through some gear setups and lures for jacks. Brad has continued to follow the bait schools in the far upper reaches, where mulloway, flathead, trevally, bass have been holding in the deeper holes, with teabagged vibes the best option. Some days conditions have been good for surface fishing for whiting with Suga pens. He is also starting to get more serious about hunting mangrove jacks during charters, with the peak months coming up. I remember one day last year he got 4 in one session. Clint has been chasing mangrove jacks this week with Dan pictured below catching his first ever jack with us at Nerang river. 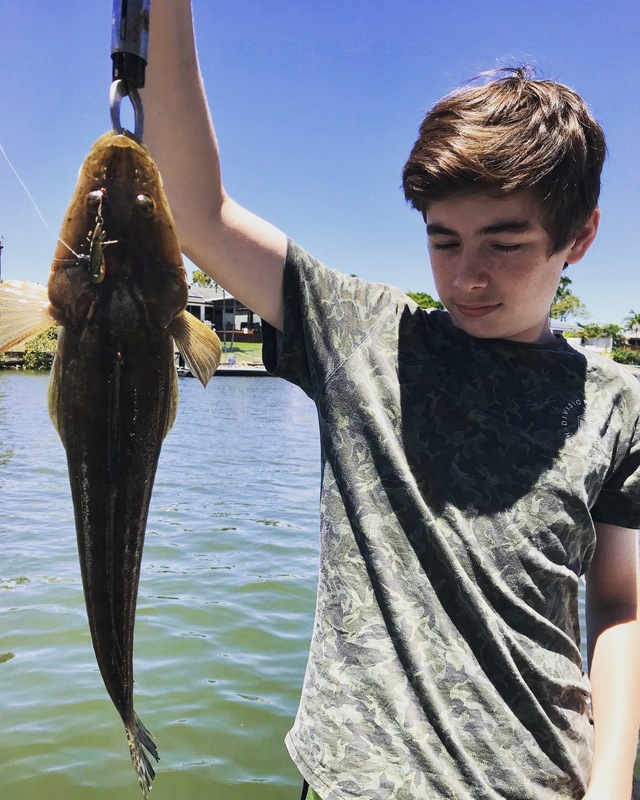 We’ve also been fishing the broadwater around Crab island with lures for the usual whiting, flathead, tuskfish, flounder. There has been some fast and furious action with jacks on live whiting. This coming week we’ll be upgrading leaders to stop the monsters. 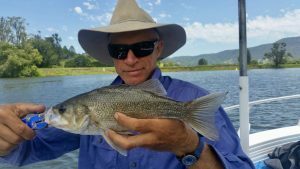 The Nerang river needs some decent rain, with low air pressure and clear water making some days hard to find flathead and whiting. Night time fishing is a good option. Our charter bookings are now filling fast into January peak season. Get in touch soon to grab your spot. Cheers and tight lines this weekend!